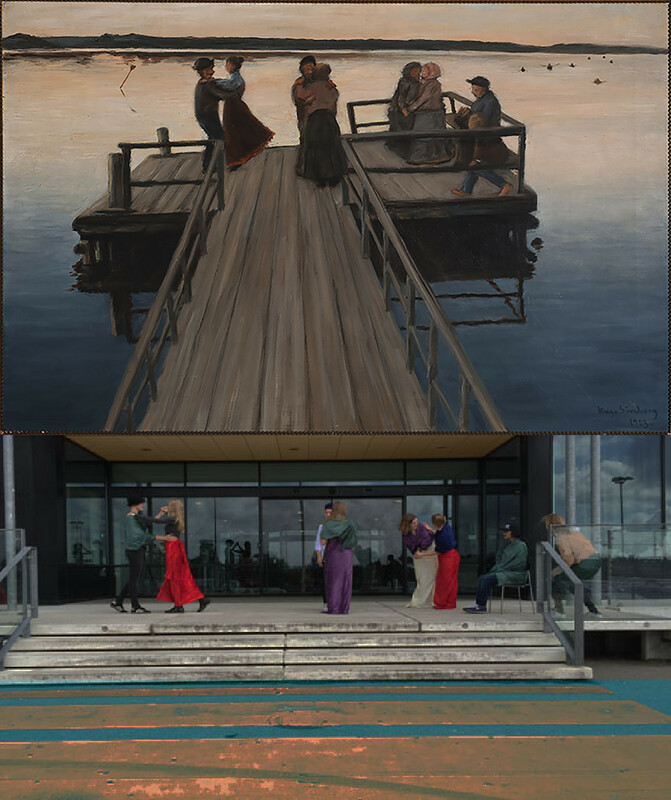 Some members of the staff of the Serlachius Museums started their work day by dancing on the museum´s sunny jetty! 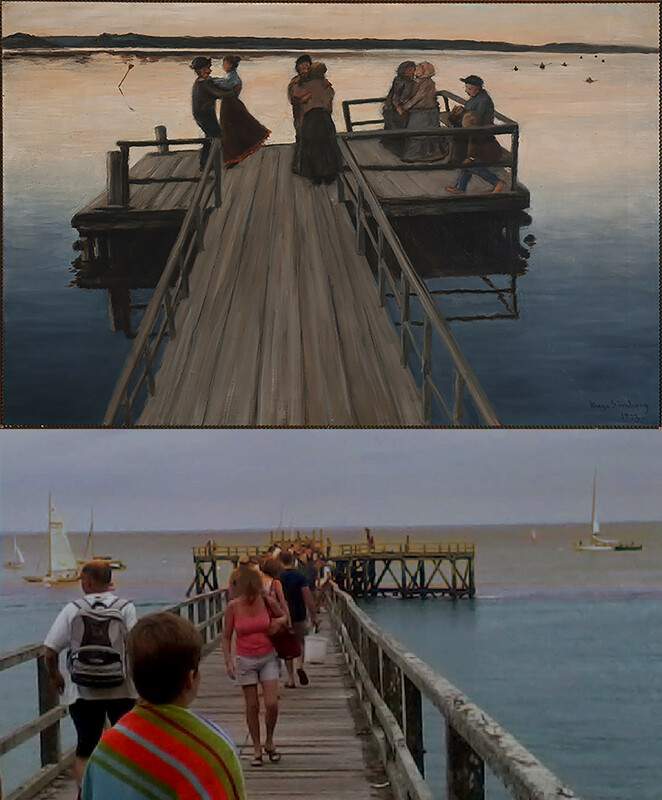 The atmosphere is a bit jollier than in Simberg´s original painting. What a pity that the rowing boats of the museum glided almost outside the vicinity.